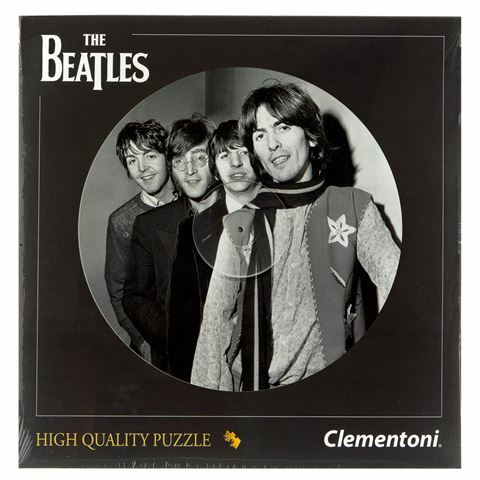 The same size as vinyl LP, The Beatles Album Jigsaws are presented in their own cardboard sleeve…just like a record! Each of these round puzzles has over two hundred pieces and will keep you entertained for hours. With a little help from your friends, you’ll have this jigsaw finished in no time. Not suitable for children aged under three years of age. Round puzzle is the same size as a record and is even presented in a flat sleeve, just like a record. Completed Puzzle Diameter: Approximately 30cm.